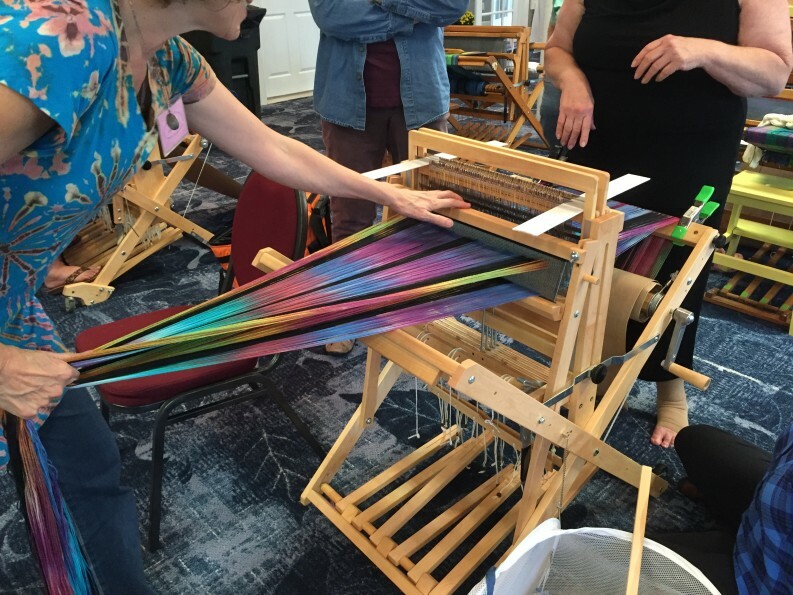 Island Fiberworks Fall Retreat with Daryl Lancaster! Wrap your body in clothing from your own hands. All levels are welcome. This is a terrific class for those wanting to learn to fit and sew clothing from their handwoven, hand printed, dyed, quilted, felted or just commercial fabric, as well as for those more experienced students wanting polished and professional results. New students will construct a basic custom fit unlined jacket from their own fabric while learning all sorts of inspiring construction techniques to make their garments reflect their creativity. Returning students who have already made a jacket with me in any other class will bring their own patterns and agenda. Materials fee for new students only: $35. Interfacing, pattern paper and extensive bound handout, twill tape, press bar and shoulder pads. All others may purchase materials as needed. ALL LEVELS ARE WELCOME. BIO: Daryl Lancaster, a hand-weaver and fiber artist known for her award winning hand-woven garments, has been constructing garments for more than 45 years. She gives lectures and workshops to guilds, conferences, and craft centers all over the United States and Canada. The former Features Editor for Handwoven Magazine, she frequently contributes to various weaving and sewing publications. Room rates at the Sea Ranch will be $95 for a regular ocean front room, $68 for an inside room, and $140 per night for a 2 bedroom, 2 bath condo with living/kitchen combo and laundry. The cost for the Daryl’s workshop is $560 plus material fees, the cost of your lodging and food. I plan to have a meet and greet with heavy horderves the Sunday evening Oct. 28 so please plan on attending and eating with the group. I’m excited about Daryl’s workshop and hope you are too! Can’t wait to see everybody in the fall and Thanks for joining the fun!